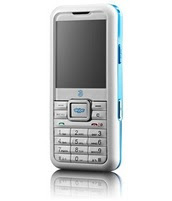 Skype released its mobile phone that called 3 Skypephone. It looks like regular mobile phone, it can do calling, send text message, or take picture (with camera). On the keyboard there has a big Skype button, just press it to start making free calls and send instant messages on Skype. So next time you do not need sit on front PC to use Skype to call your friends, you can carry it to call them anywhere. Call Skype user is free. The main feature: with 3G, a 2-megapixel camera, mp3 player, mobile TV and internet. According to official site, 3 Skypephone already on market in UK, and some other countries will coming soon, including Australia, Italy, Hong Kong, Sweden, Denmark, Austria, and Ireland. I did not see U.S on the coming soon list, I am not sure if 3 Skypephone plan on U.S market in the future. I really want see how does it work but the website does say anything in this way.